Uber Corp continues to operate at a loss. The company lost $4.5 billion in 2017, up from $2.8 billion the year before. Uber reported a loss of $1.1 billion in the fourth quarter on revenues of $2.2 billion. Uber freight has yet to turn a profit. Their parcel division, Uber Rush, is rumored to close in June. The driverless truck division has suspended testing. According to Eric Meyhofer, Head of Uber Advanced Technologies Group, “We’ve decided to stop development on our self-driving truck program and move forward exclusively with cars." Meanwhile, Uber's head of freight trucking, Lior Ron, who was also working on autonomous-vehicle technology, is leaving the company. 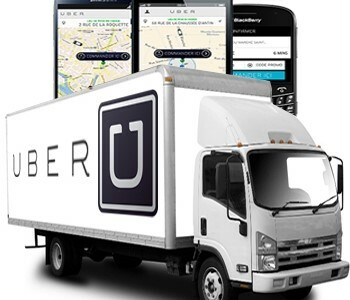 Uber freight is facing the same challenges as established freight brokers; driver availability. Equipment demand is at historic highs. Carriers and owner operators are able to maximize their revenue in this tight market. Responsible shippers are compelled to stay with established carriers and pay higher rates than chance their freight and brand equity riding with an unknown and unproven carrier. The Uber platform is little more than a bidding platform with shipments going to the lowest bidder. Uber freight would be a useful option for carriers shipping low value, durable freight, with little concern about brand equity. There is little history provided to shippers for Uber freight drivers other than insurance and authority. And it's unclear how much vetting is done on the carriers or owner operator. Uber shippers are trading off higher risk for lower freight rates. Most responsible shippers cannot afford to take this level of risk with their products and associated liability. Uber may be concentrating on its main business; passenger transportation. Uber has decided to redeploy the engineering teams involved in the self-driving truck project to work inside of Uber's autonomous passenger car business. This shouldn't be a shock. Uber is the dominant leader in the on-demand passenger market and not a huge player in the trucking freight market. With Uber planning one of the largest tech IPOs since Facebook, they must have a compelling story to tell investors about how they plan to maintain their position in the passenger vehicle segment and not be lapped by other players with more compelling technology. Without perfecting or at least improving self driving technology Uber's entire market share is at stake. For the latest Logistics and Transportation technology news, subscribe to our blog http://www.Land-Link.com/blog.